InterManager has described as ‘abhorrent’, the decision by Spain’s Supreme Court to sentence the Master of the Prestige oil tanker, which sank off Spain's northwest coast in 2002, to two years in prison and has called on the shipping industry to support him after what have been 14 highly stressful years. 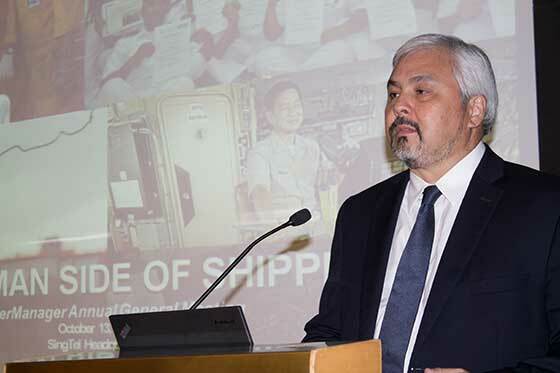 The sentencing of the Prestige Master Apostolos Mangouras was high on the agenda of the InterManager Executive Board which met in London yesterday (Jan 28). The InterManager Executive Committee agreed to throw its full weight towards getting the shipping industry to act together in protesting what it described as a “totally unfair” court decision. Captain Mangouras was convicted of recklessness resulting in catastrophic environmental damage, according to a statement by the court, overturning a previous sentence by a Galician Regional Court which cleared him of criminal responsibility. Gerardo Borromeo, President of InterManager, said he was hugely disappointed by the court ruling and said it set a very worrying precedent as far as the role and responsibility for Masters in certain jurisdictions. The Prestige case was unique as the vessel had been refused permission to dock by Spanish, Portuguese and French authorities after a storm had damaged one of its fuel tanks. It eventually split in two and sank some 250 miles off the coast.